First impression: AWESOME! I was first greeted by Adam at the front desk. He is the friendliest, most courteous assistantI have ever met. Off to a great start! He then asked me if I was in a hurry because the Doc was running a little behind. I expected that to mean 30 minutes or more, but was pleasantly surprised when I waited less then 15 minutes. I appreciated his up front honesty. Dr. Schwartz is the consummate professional. Bright, articulate, friendly & warm, with a great sense of humor & wonderful "chair side" manner. I was thoroughly impressed. First impression: AWESOME! I was first greeted by Adam at the front desk. He is the friendliest, most courteous assistant I have ever met. Off to a great start! He thenasked me if I was in a hurry because the Doc was running a little behind. I expected that to mean 30 minutes or more, but was pleasantly surprised when I waited less then 15 minutes. I appreciated his up front honesty. Dr. Schwartz is the consummate professional. Bright, articulate, friendly & warm, with a great sense of humor & wonderful "chair side" manner. I was thoroughly impressed. Quick, efficient, and very professional. Friendly and concerned for my comfort. Excellent experience! Please note your appointment is not confirmed until you hear from our office and receive an email confirmation. 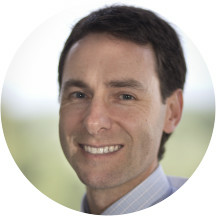 Dr. Jerome Schwartz is an allergist and ear, nose, and throat doctor treating patients in Bethesda, Maryland, and the surrounding communities. He is a member of the American Academy of Otolaryngology Head and Neck Surgery and operates out of the Feldman E.N.T. Group. He also holds certification from the American Board of Otolaryngology. For his undergraduate degree, Dr. Schwartz attended the University of Pennsylvania. He pursued his medical degree at the George Washington University School of Medicine, graduating with distinction. Dr. Schwarts received his residency training in otolaryngology, head and neck surgery, at the State University of New York Downstate. He has also completed advanced training at St. Lukes–Roosevelt Hospital Center. Patients visiting Dr. Schwartz can receive a full range of ear, nose, and throat care. His special training includes laryngology, neurolaryngology, swallowing disorders, and voice disorders. He also provides treatment for issues including vertigo, sinus problems, snoring, hoarseness, hearing problems, sinus problems, and ear pain. The Feldman E.N.T. Group, P.C. Dr. Schwartz was thoughtful and thorough during my ENT consultation. He provided me with a clear explanation and plan. His office was also very pleasant and efficient. Adam at the front desk was also very kind and helpful. Great office! Everyone was professional from receptionist to doctor Schwartz. Dr. Schwartz is a great physician, highly recommend to anyone needing an ENT. Jerry Schwartz is a great guy. Spent plenty of time with me explaining my condition and what could be done be done about. Very smart and professional. Was also impressed with the smooth operation of the office. My daughter and son both went about a month apart to see Dr. Jerome. Both needed to have a camera inserted through their nose to look at their vocal cords. Dr. Jerome did a fabulous job of speaking to both ofthem at their level 7 years old and 11 years old so that they would be comfortable during the procedure. Additionally, he spent a considerable amount of time talking to me. He remembered my son's situation, asked how he was progressing. I did not feel rushed by the next appointment. The gentleman at the front desk was very helpful and got me checked in quickly, even though this was my first visit. I waited for only about 10 minutes to see Dr. Schwartz. He listened to all of my concerns, explainedthe diagnosis and put me at ease. I would definitely recommend him. Dr. Schwartz was incredible! He explained his thought process for diagnosis out loud and in understandable language. Overall, great appointment with a careful and thoughtful diagnosis. Do Not Recommend making an appointment via ZocDoc because it is not confirmed until someone from the office calls to confirm and obtain addl information. If you are trying to make a same day appointment - do not use! It seemsthat others in the waiting room made appointments online and they were not confirmed but did not know it. I arrived 15 minutes early for my appointment and waited over an hour before I was taken to an exam room. Then I waited a good 30 minutes in there before being seen. As I was leaving, the receptionist tried to give me an order for a CT which was for another patient. Took another 15 minutes for him to confirm that he printed an order for another person and tried to give it to me by mistake. Love this doctor! Both knowledgeable and great bedside manners. Speaks to you like you are an intelligent human being (unlike other MDs I've gone to). Overall, one of my favorites that I've gone to in my lifetime. I see Dr. Schwartz every year and a half or so. He's fantastic. Wonderful doctor. Lovely personality. Great listener. I highly recommend Dr. Schwartz. Dr. Schwartz is patient, kind and a great listener. He carefully explained what he was doing, what he might see, what it might mean. I will return for a follow-up more detailed examination. We really like Dr. Schwartz and have had a great experience dealing with him over the past few years. He is great. Explains things very clearly and takes sufficient time. Very helpful, understanding and professional. Extremely knowledgeable. Very thorough and took time to answer all questions. Great staff as well. Dr. Schwartz is very high energy. He helped me with a problem I have had for over a month in one visit, that other doctors struggled to figure out. Dr. Schwartz is a great doctor, he preformed my tonsillectomy about two years ago and everything ran smoothly with tip top care! At this return visit for a minor issue, he still was great and I again, was impressed by his knowledge and service. Effectively and efficiently removed the buildup of earwax. Knowledgeable, caring and conservative approach with easy to follow explanations and advice. He was great!!! Felt great with his diagnosis and treatment. Excellent appointment and professional courtesy. My problem was solved. Dr. Schwartz listens first and then evaluated and is always thorough, kind, and sympathetic. This office is well run, clean, and friendly. This is my second visit to Dr. Schwartz. He is very thorough, caring, and seems to be a very nice person. I always feel like he'll get to the bottom of whatever is bothering me. Dr Schwartz is an excellent physician and an outstanding ENT specialist. He is a gifted problem solver and highly skilled practitioner. His people skills are superb. In my view he is the best of the best. I thought the Doctor was great as was his assistant. The front desk staff, not so much. Amazing professional that listened to the issues, explained the anatomy and possible issues- so glad I found him. Dr. Schwartz was very knowledgeable, kind, attentive and easy to relate to. I highly recommend him. He is a really nice doctor who communicates very well. He is a good listener and he does a good job explaining his diagnosis and the plan of treatment.